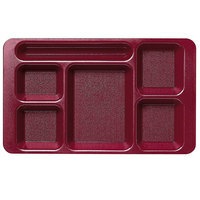 Carlisle KL44485 4-Compartment Dark Cranberry Melamine Tray - 11" x 8 11/16"
Carlisle KL44408 4-Compartment Forest Green Melamine Tray - 11" x 8 11/16"
A 5 compartment lunch tray allows you to serve a main entree as well as several sides and beverage. 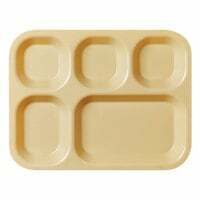 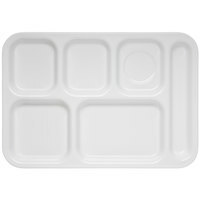 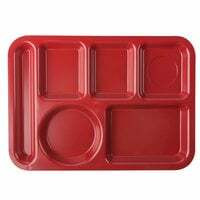 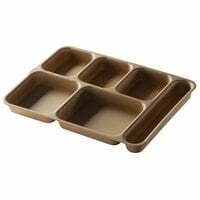 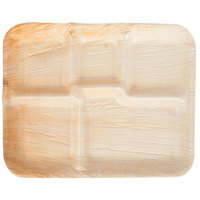 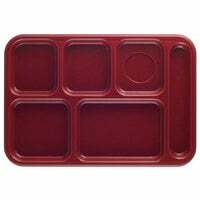 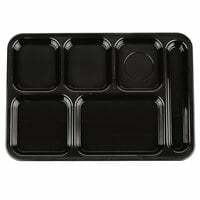 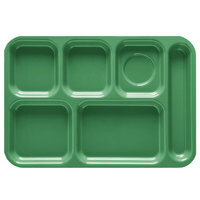 Each tray features one larger compartment and four smaller spaces, which can hold servings of apple sauce, steamed vegetables, fruit salad, or a dinner roll. 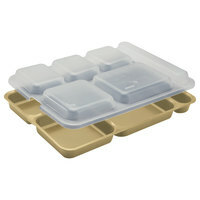 You can also use a compartment to hold a box of milk or a beverage glass. 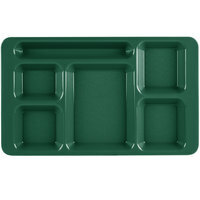 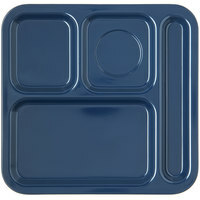 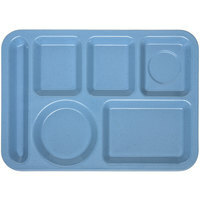 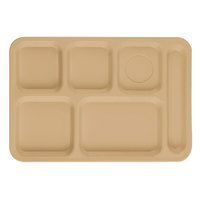 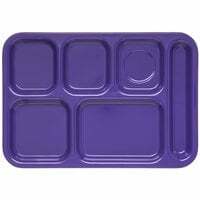 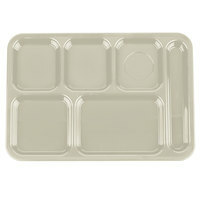 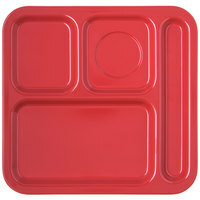 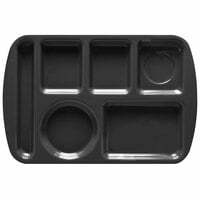 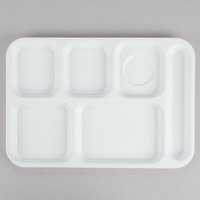 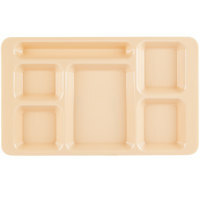 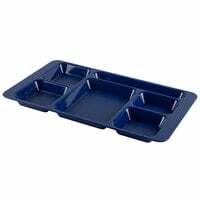 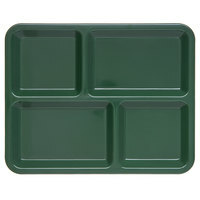 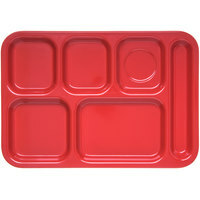 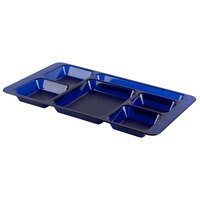 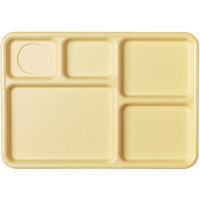 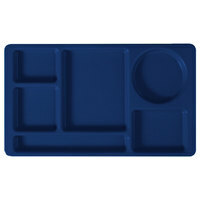 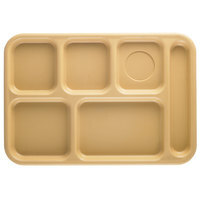 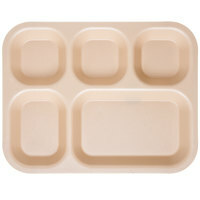 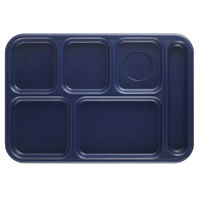 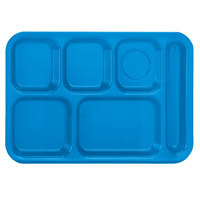 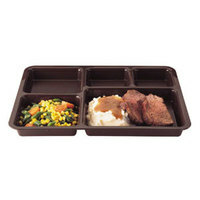 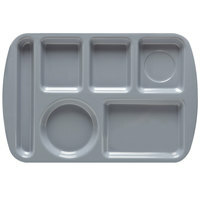 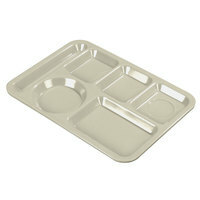 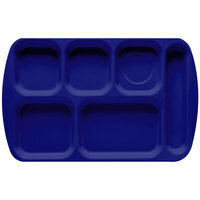 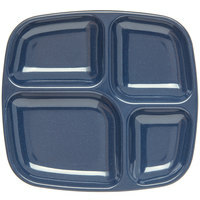 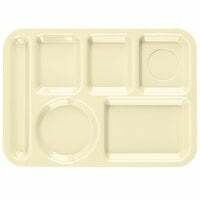 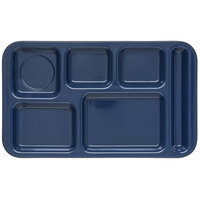 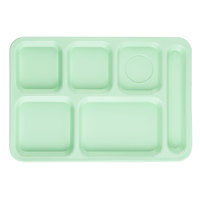 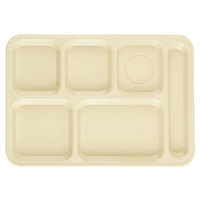 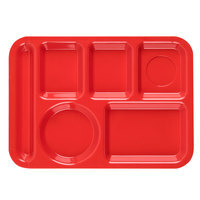 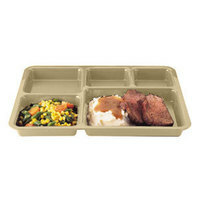 From elementary schools to assisted living centers, a 5 compartment lunch tray is an essential serving item. 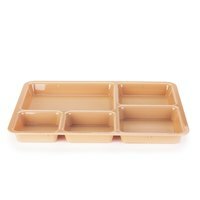 Students, guests, residents, and customers can carry everything they need from your buffet line to their tables on these trays, saving them from making several trips back to your kitchen.